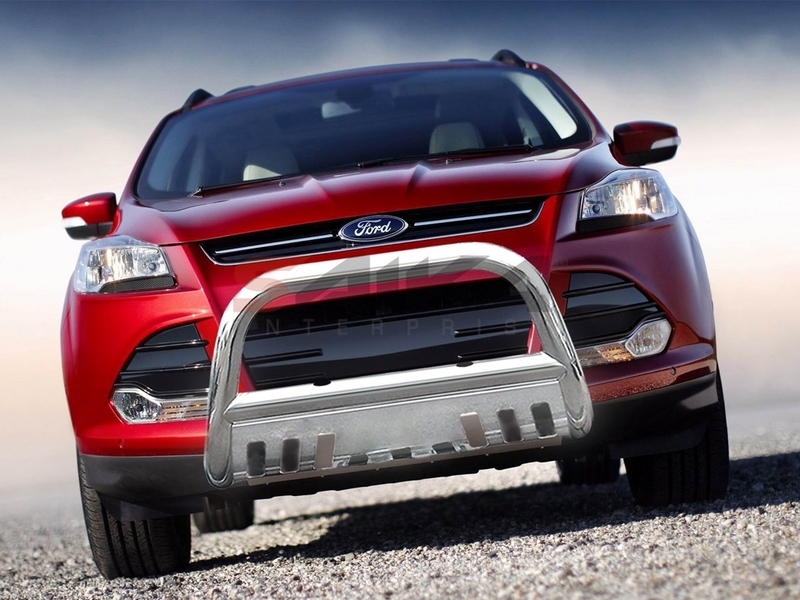 Saika Enterprise : 13-14 Mazda Tribute 3inch Stainless Steel Bull Bar w/Skid Plate [R-FO620P-2] - Contact for Price! 13-14 Mazda Tribute 3inch Stainless Steel Bull Bar w/Skid Plate Contact for Price! Made out of machined 304 Grade Stainless Steel polished to a mirror chrome finish. Comes in 3" tubing with a removable skid plate for additional protection. Predrilled horizontalbar to allow hosting of up to 10" fog lights (additional hardware might be necessary).